Strainer Connector Kits allow multiple drains & strainers* (grates) to be connected. There are three versions of the connector kits. The proper kit is based on the drains that you are planning to connect (i.e. 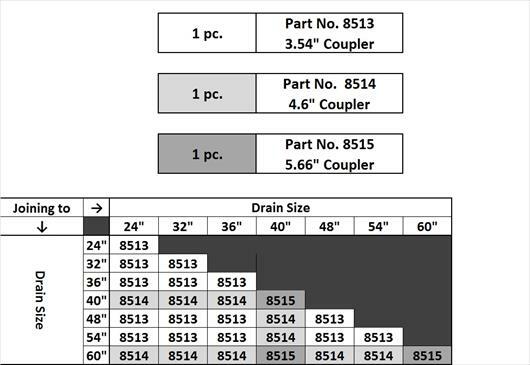 60” long drain to 32” long drain requires part #8514). 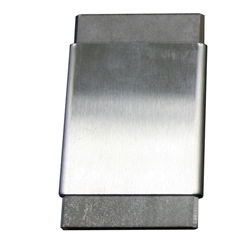 - A solid brushed stainless connector piece with tabs that interlocks the strainers. - A white plastic height adjustment tool that allows for the additional thickness of the tabs mentioned above.